Make your way on the air and visit the magnificent island of Ios, which offers a wonderful change of scenery from Santorini. Board your private helicopter and settle in as the chopper's engines take you far out onto the skies surrounding Santorini. Arrive at Ios in style, famous throughout the world for its golden, sandy beaches of Maganari and Mylopotas. Spend a full day of swimming, snorkeling or exploring taking in all the serene beauty this island paradise has to offer. Hop back at your private helicopter, enjoying magnificent aerial views of Santorni's scenic beauty while returning to the private helicopter launch pad. • Exclusivity of a private helicopter for you & your group. • Chance to swim & snorkel at the majestic golden beaches of Ios, offering a different scenery from Santorini. • Opportunity to explore Maganari or Mylopotas beaches, famous for its parties and the Chora (town) of Ios. 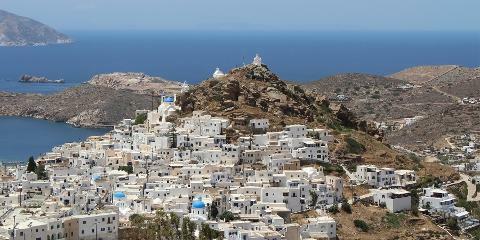 • Great photo opportunities of Santorini's landscape upon return. • Opportunity to enjoy the famous sunset of Santorini from the air while flying above Oia town, upon return. - One-way Helicopter Transfer from Santorini to Ios or vice-versa for 1 up to 5 passengers max: 1500.00 Euros. 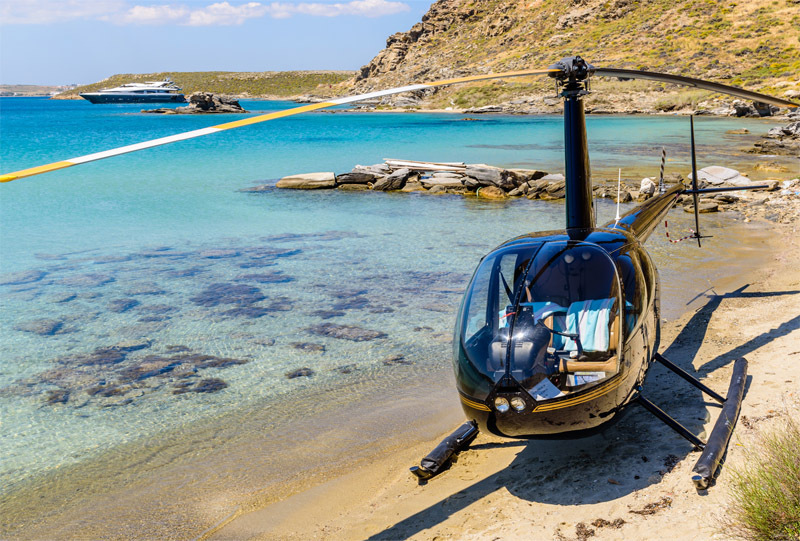 - Helicopter Day-Trip from Santorini to Ios for 1 up to 5 passengers max: 1800.00 Euros. 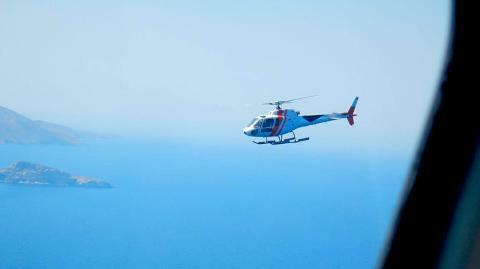 - Helicopter Day-Trip from Ios to Santorini for 1 up to 5 passengers max: 2200.00 Euros.